Moving your possessions from one place to another is stressful enough. If you’re doing a state to state move, that stress is only increased - along with your ordinary moving duties, you have to coordinate the logistics of an expensive, accident-prone move over hundreds of miles. Labor and fuel costs can add up quickly, and you’ll find that fewer companies offer state-to-state moving than in-state. Call (888) 308-2797 to contact VMoving and hire the professional movers who will put your mind at rest. Our trained moving men and seasoned team leaders will get you across state lines from point A from point B without a scratch or scuff, and because of our efficient company practices, we’re often the cheapest in town, too. Call (888) 308-2797 or click here to get started planning your move today. What is involved in a state-to-state move? Although both in-state and state-to-state moves require just a truck and some moving men, there are a few extra considerations to take into account when you’re crossing state lines. Fuel & labor costs. The truck is traveling further, and the help is on the clock while you’re en route to the new location. Added risk for breakage. Highway speeds mean that the items in the truck are more likely to shift around (and potentially break). Extra licensing. Moving companies need a separate license to operate in every state they wish to service. State-to-state can be more costly, more stressful, and you have fewer company options to pick from. How VMoving does state to state better? 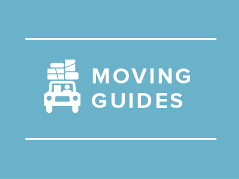 VMoving is the moving company you want to contact for a hassle-free state-to-state move. When you give us a call, you’ll speak with one of our friendly representatives who will set up a convenient appointment for one of our team leaders to come by and assess your move. We take the time to make sure we understand the scope of your move completely so we can give you an accurate estimate. On the day of the move, you’ll be greeted by your moving help, and they will quickly get to work packing and moving your boxes, furniture, and other belongings. Sit back and relax while your team takes care of the heavy lifting. Once at the new location, you’ll enjoy the same careful, efficient work pace that gets the job done fast and without breakage. Along the way, we’ll take the steps to make your move as efficient as possible. We look for ways to save money and pass those savings onto you. You’ll receive a complete estimate with all of the costs broken down in detail, and we’re always more than happy to explain where the costs come from so you know exactly what you’re paying for. Get in touch with VMoving today by calling (888) 308-2797 or clicking here. You’ll find that we’re the most affordable moving company that can put your mind completely at rest, and when you’re moving state to state, that’s important. My moving experience was an easy one thanks to VMoving, from receiving the quote to the actual moving day there was never a moment where I thought these guys don’t know what they are doing. They are absolutely true professionals that did an outstanding job of getting me in to my new home. Twice I have moved in my life and the first time was a disaster so I was slightly apprehensive about doing it again. I called VMoving and reiterated my last moving encounter and they put my mind at ease. The staff was great and very polite and patient, I managed to move with no problems. I 100% recommend using this service for your next move. VMoving.org is a referral service, that is partnered with a nationwide Moving Companies referral service. VMoving.org does not provide Moving services itself, and it does not represent any individual movers or moving companies.